Managing implementation risks is a tremendous challenge with layers of complexity. As both a project manager and a leader, I have been responsible for overseeing implementations. The experience both exhilarated and frightened me. Discussing implementations brings up some of the scarier professional moments of my career because of the significant risk associated with implementations. Regardless of the size of the budget or type of organization you are managing implementation for, you can find yourself responsible for top priority initiatives that are highly visible and carry significant risk. Implementations involve commitments. We put our credibility on the line by saying, “We can do this.” This commitment can be at the individual, team, service center/site, or organizational level. If an implementation goes well, our credibility can be secured. If it goes poorly, we can spend years trying to recover and overcome negative perceptions. Implementations involve beginnings and transitions. Whether we win or renew a contract or start or transform a program, there are expectations for change or transformation implied when we use the word implementation. Where we have expectations, we have both opportunity and risk. Implementations impact multiple parties. In public sector health and behavioral health care, each action typically impacts a large number of people both inside and outside a particular organization. Multiple points of impact bring multiple points of potential risk. As health care and behavioral health care systems are designed to serve people, implementations can have potential positive and negative care impacts on those we serve – members, families and stakeholders. Implementations are resource driven. Delays or budget overages bring fiscal and contractual risk. Implementations have inherent interdependencies. At both the task and team level as we directly manage or oversee an implementation, we find ourselves responsible for people and events that often feel out of our control. 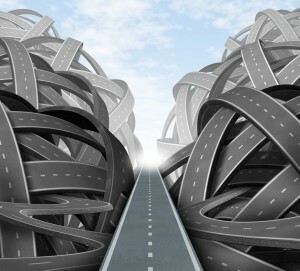 Managing implementation risks is of utmost importance, and the most crucial element is to understand what is at stake. This is often underestimated and a common mistake is thinking that a funder “likes you and understands your situation.” This can create complacency among team members, leading to frequently changing deadlines and an ultimate loss of credibility. Encourage staff to build reasonable time frames from the out start. If we push team members to agree to time frames that are not grounded in objective analysis, we can set them up for failure. If they don’t feel the timeframe needed for project success is reasonable, discuss the specifics with them and jointly develop solutions. Change timeframes proactively and early in the process, when needed. If there is an unexpected need to change a timeframe or even a mistake in the initial calculations, deal with it head on and quickly. Build in cushions and double checks – build in time for second and third level reviews. Encourage diverse opinions. Normalize and invite contrasting views of situations. Invite staff to tell you about challenges and problems. Act quickly when things are at risk and verify that interventions are working. By effectively managing implementation risks you can protect your own, and your organization’s reputation, maintain strong business relationships with contractors, engage a maximum number of members of your team.